It can be difficult to know where to start when creating a professional work space that is both efficient and comfortable. Whether your office is at home or at work, you need to create a welcoming work environment that is suitable for business, for clients, and for you, since you’ll be spending a lot of your time there. The appearance of your office may not seem like a big deal, but you need to make sure that it’s impressive to any clients who may see it. What a client thinks about your work space could be the deciding factor on a big business deal, so make sure your office reflects the impression you want to make on potential clients—that you’re innovative, welcoming, and efficient. You also need it to be a happy and inspiring space for you to work. You don’t want to spend your working hours in a room that you find depressing and dark. A work office should be a place that makes you feel motivated and focused, as you want a place where you can work feeling inspired and ready to take on the day! Here are ten things you should consider when creating a professional work office. Whether you’re creating an office space in your home or at work, you’ll need to consider location. Due to the increase of freelancers and self-employed workers in recent years, setting up an office from home is becoming much more popular. But if you’re planning on creating a work space in your house, then you need to think carefully about where it’s going to go. You’ll want to avoid setting up an office area in your bedroom since you’ll want to unwind and relax once you’ve put your work away for the evening. It’s important to separate your work life from your home life. Make sure you don’t pick a room in a hallway that gets a lot of foot traffic. If family members are always walking past your office, the constant distractions will interrupt your workflow and break your concentration. Many professionals build a garden room or outbuilding for their office so that they can use as much space as they need without interfering in family life. If you’re working for a company or renting space in a commercial building and have some say in where you’ll be located, you should consider office space best suited to your needs. For example, if you’ll be meeting with clients in your office on a regular basis, then you may want to avoid the space that’s right next to a busy public restroom or loud cafeteria. What Will Your Office Be Used for? Before you start to work on creating your perfect, professional work office, you should consider what you aim to achieve. Think about exactly what you’ll be doing in your office, all of the tasks you’ll need to perform, and all the features you’ll need to include to make this possible. You should consider the different types of equipment you’ll need to use on a daily basis. These could include printers, computers, fax machines, large screen tv monitors, and conference call phone systems. Outline your designated work area from the start and ensure that every piece of equipment is located in accessible areas that won’t get in your way. If you think you may occasionally have clients in your office, then you may want to think about extra furniture. Aside from the traditional furniture components such as a desk and work chair, you may find that additional chairs and a conference table are necessary. You could also consider some comfortable arm chairs and a small table to create a perfect spot for sitting down and sealing the deal with customers! 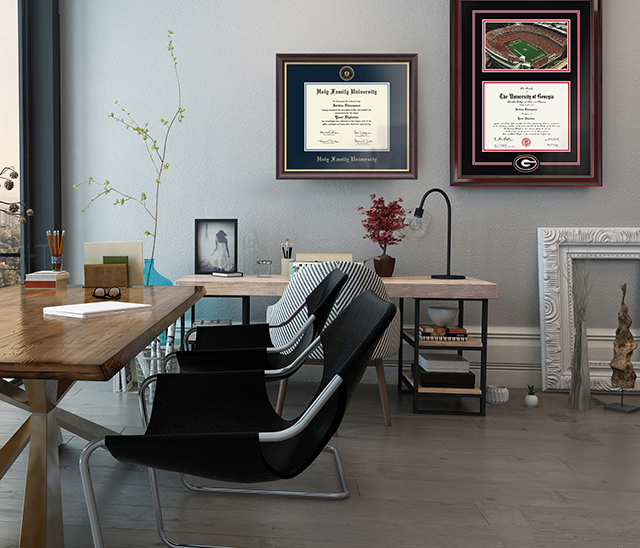 When creating your professional office, you need to consider how to decorate your walls. Over the course of your career, you’re bound to have had some academic and professional accomplishments that have been a great source of pride. What better place to showcase them than in your office? Putting your achievements and credentials on display is a great way to boost your credibility with clients while boosting your confidence at the same time. Your customers want to know that you have the expertise to carry out your job, so don’t leave your college diploma stuffed in your desk drawer. 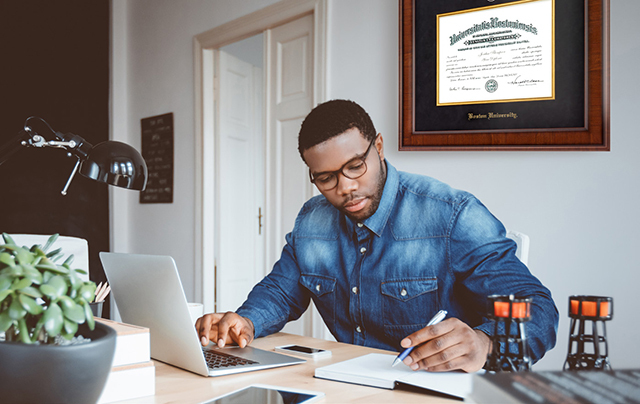 Protect one of the most expensive pieces of paper you’ll ever own by showcasing it in an officially licensed diploma frame that’s custom-designed to fit your university degree. 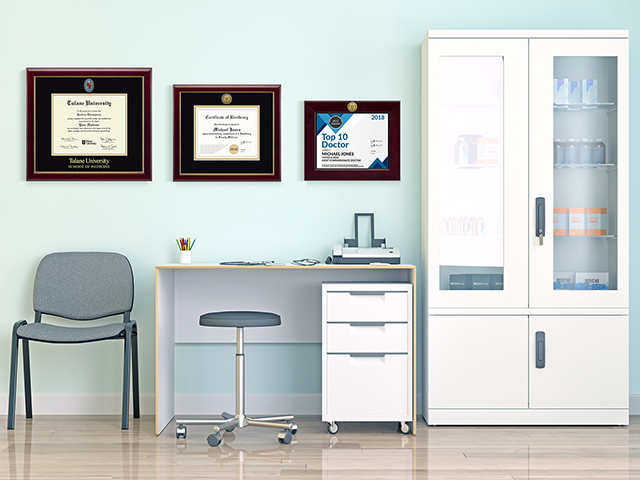 A framed diploma is a great way to decorate your office wall and visually remind your clients (and yourself) why you’re so great at your job! Don’t forget about business licenses, professional awards, and work-based community achievements. 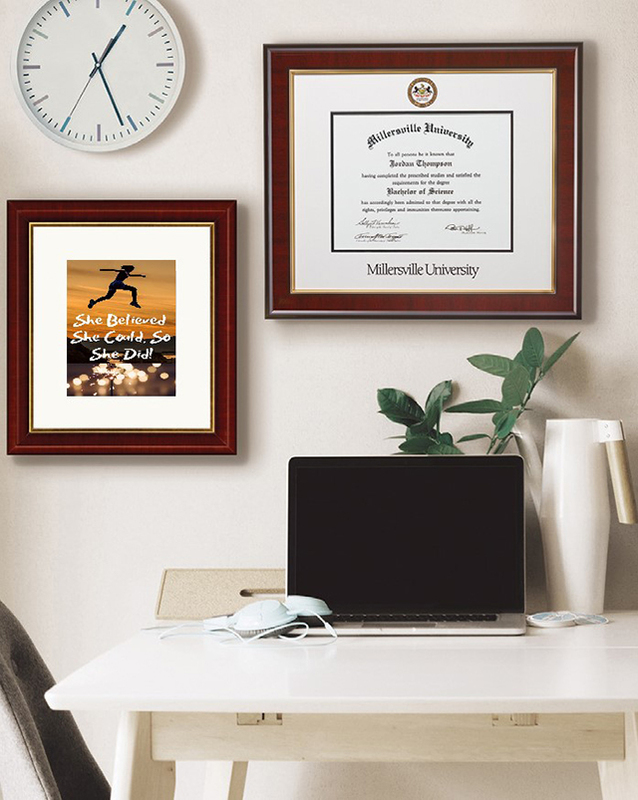 Create coordinating certificate frames to match the moulding styles and mat colors of your graduation frame. 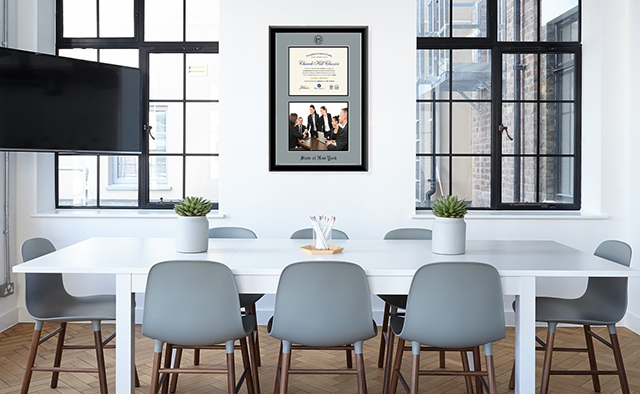 A strong and stylish mix of diploma and certificate frames instantly creates a professional atmosphere, adds a personal touch to your work environment, and encourages conversation-starters with new business clients. 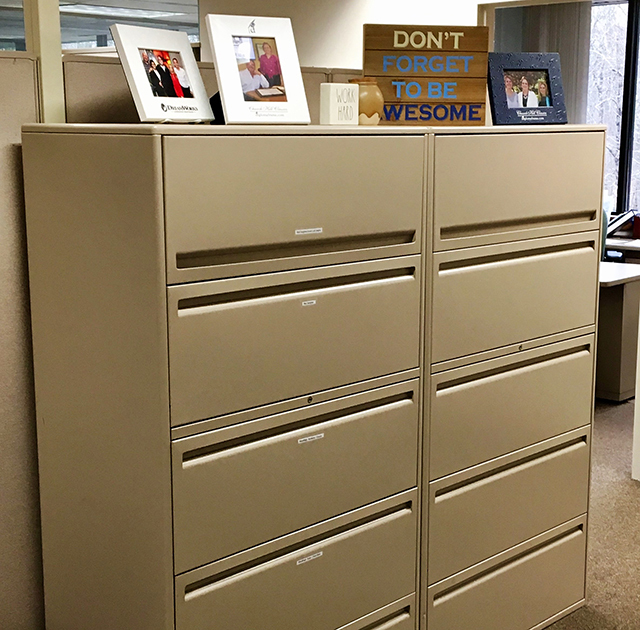 It’s really important to consider storage space when designing your office. If you don’t allow enough room to store your work equipment and documents, then you run the risk of creating a chaotic and disorganized workplace. We’ve all heard of the phrase,“tidy room, tidy mind,” which reminds us that a messy work area can create uncertainty and infringe on productivity. Organization is an essential component of a professional work office. You need to be able to keep track of all the different projects you’re managing without getting confused or misplacing key elements that are critical to completing the work. Use daily planners or calendar apps to ensure you don’t miss important client meetings or work deadlines, and make sure all of your office supplies are neatly stored in desktop containers or in well-organized drawers. Taking a minimalistic approach when designing your work office is the best approach. You definitely don’t want to go overboard with accessories and unnecessary furniture. It’s important that your work space provides exactly what you need from it—a quiet and organized place for you to be productive. Think carefully about what sort of furniture you should get. For example, if you often find yourself spending long periods of time at your desk, then you may want to invest in an ergonomically designed desk chair to protect your back. Additionally, select fabrics in neutral colors rather than wildly patterned or bright colors for a more professional feel. Opt for an elegant approach to your office’s décor, as this will help keep you focused while working and make it easier for you to hold others’ attention in meetings. The last thing you want is to be giving a presentation while your audience is gazing at the Aztec-patterned drapes or vibrantly colored rug in your office. The focus in your office should always be you and your work, so make sure your décor reflects that ideal. 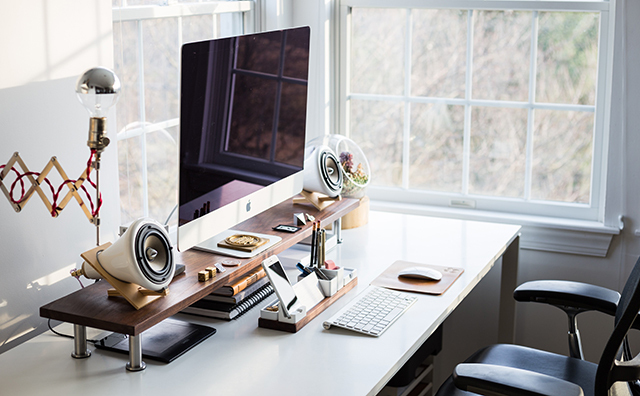 You should be sure to add a few accessories to your office to give it a comfortable and welcoming vibe to clients, as well as for yourself. Adding special accents can make all the difference to a room and can turn it from a boring empty space to a sophisticated and impressive work space. You could consider adding a bookshelf in your office and fill it with some books from your professional field. This will show off your experience and knowledge to clients as well as giving the room a focused and productive feel. Adding sculptures, artwork, or photographs to your office may also be a great conversation starter when liaising with clients or work colleagues. While your work office should be professional, it is still a room that you will spend a lot of your time in, so it should reflect some of your interests or hobbies, if appropriate. Since you are likely to be spending a lot of time in your office, you will want to make it a place you enjoy being in. To do this, you want to make your office feel as welcoming as possible. If you are creating a work space in your own home, then this is likely to be much easier, but you should ensure that you feel comfortable and relaxed when you enter the room as this will help your productivity. Adding scatter cushions, ornaments, and cut flowers or houseplants is a great way to add character to your office and give it a homely feel while remaining professional. You may want to add a few pictures of your loved ones to your desk as a constant pick-me-up if you start to feel under pressure or stressed while working. 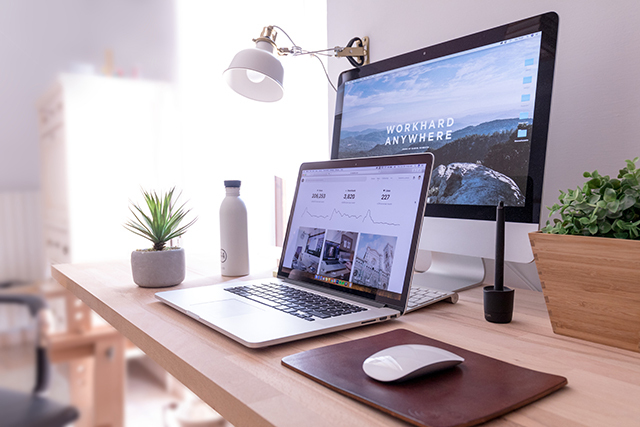 Keeping some distance between your work life and home life can sometimes be difficult if you are creating an office from home, but it is important that your work stays in the office. If your office space is going to be in your home, then you need to make sure that the space is kept separate from the rest of the house and is off limits to other members of the family (especially small children). The last thing you want is to find your desk chair being used as a laundry pile when you go into your office to get some work done. Likewise, you should keep all your work-related items out of the rest of the house. Your family doesn’t want to keep falling over your printer on the stairs, and you don’t want to find important papers covered in breakfast crumbs on the kitchen table. Not only is this annoying for the rest of your family, but it will not help you stay productive and organized. Your office is a great place to keep everything you need in one place, so don’t let your business documents and supplies creep into the rest of the house! You want to try and have a bright and well-ventilated room for your work office. This is essential for you to be productive and get lots of work done. You are much more likely to work harder if you are in a bright room that is full of fresh air. You should try to keep a window open when possible, and keep blinds open to get some daylight shining through. If you let your office go too dark and dingy-looking, then you won’t feel motivated or encouraged in your work space. If it’s not possible to position your desk by a window, then you can use different lights to create a bright and engaging ambience in your office. You should consider getting some desk lamps that you can direct light to your laptop or to the documents on which you are working. Depending on what time of day you are working in your office, you may find that lights are not necessary, but lights with dimmer switches may be a good option. With a dimmer switch lamp, you can adjust the setting so that you don’t get blinded by light you don’t need. You should be creating your office space so that every time you enter the room, you feel energized and inspired to start your day of work. A very easy way to do this is to print out some of your favorite, most inspiring quotes and put them on the wall. 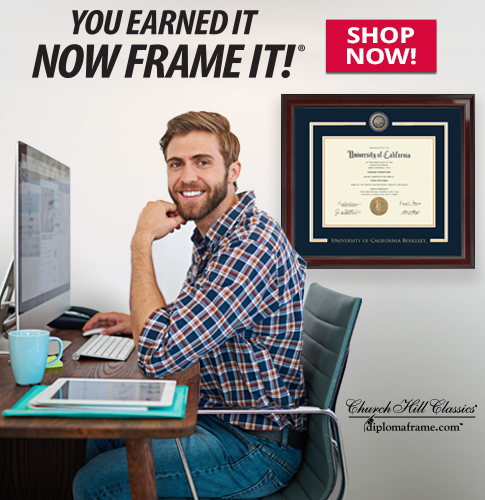 Similarly, as discussed earlier, it is a great idea to show off your diploma and certificates in custom-made frames on your wall. While they are a great feature for clients to see, they are a way of reminding you of how far you’ve come, which can give you the motivation you need to keep going. Inspiring features to your office can be a welcome boost on days when nothing seems to be going according to plan. The nature of your work will impact the kind of work office you will need, but it is important that you create a space that fills you with joy and excitement when sitting at your desk to get some work done. By considering these factors when creating your ideal space, you should find you are much happier at work and are being much more productive!